When it comes to hotels, the difference for me, lies in the details. Set in Vancouver, British Columbia where bustling city life meets tranquil mountains, the Fairmont Pacific Rim hotel has made it their business to mind the little details, making your overall travel experience the best possible adventure. 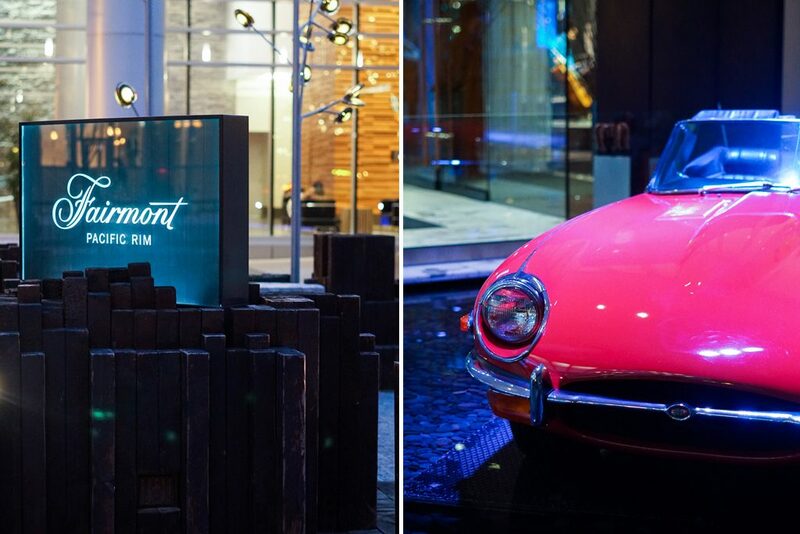 Upon arriving at the Fairmont Pacific Rim there is already so much to see. 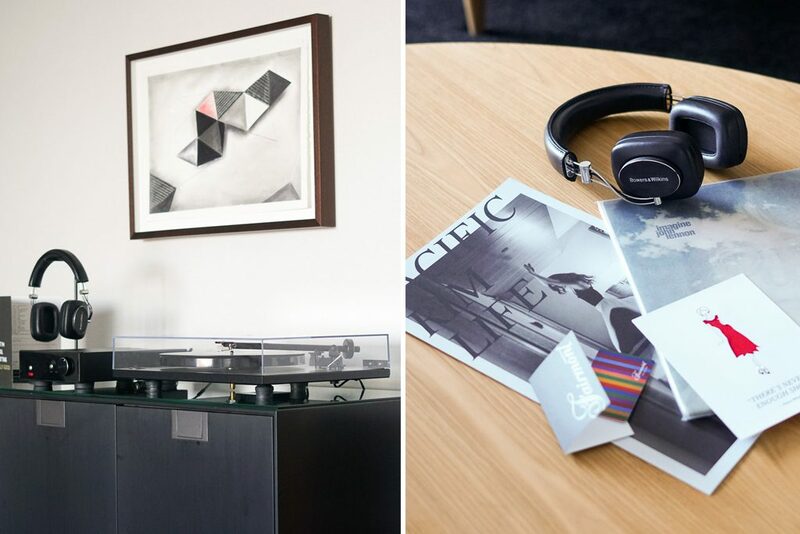 Built upon Vancouver’s vibrant city of fashion, art, and music, each one of those elements are prominently displayed throughout the hotel. 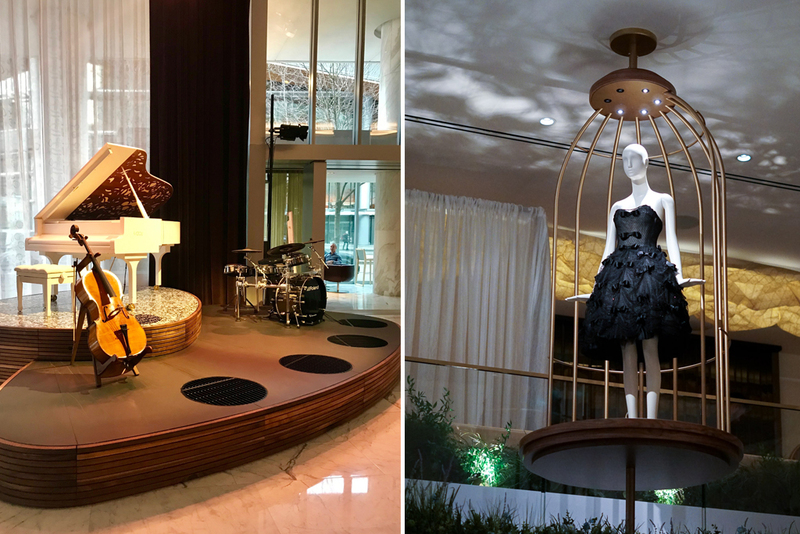 Entering the lavish lobby, your senses awaken to live music playing from the corner stage. 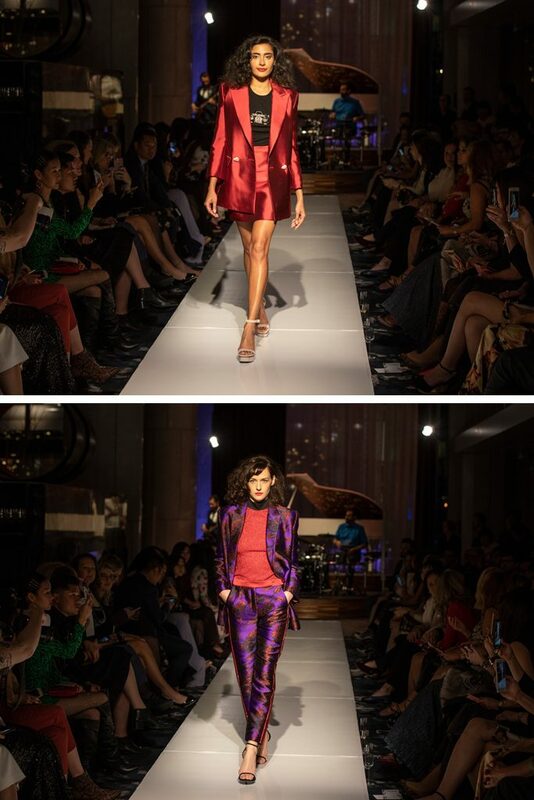 Your gaze shifts from the band to the impeccably dressed crowd that has settled in The Lobby Lounge. It appears that this is the place to be. From The Lobby Lounge, your focus pauses to admire the paintings by Guido Molinari hanging from the high lobby walls. Also on display in the lobby are three glass vitrines showcasing the most stunning vintage couture dresses by Thea Porter as well as a hanging cage featuring one of the first designed Dior dresses. I’ve barely made it past ten steps and already I am blown away by the decor, the details, and the energy. After a swift check-in under the Fall for Gold package, I head up to my room on the 19th floor. 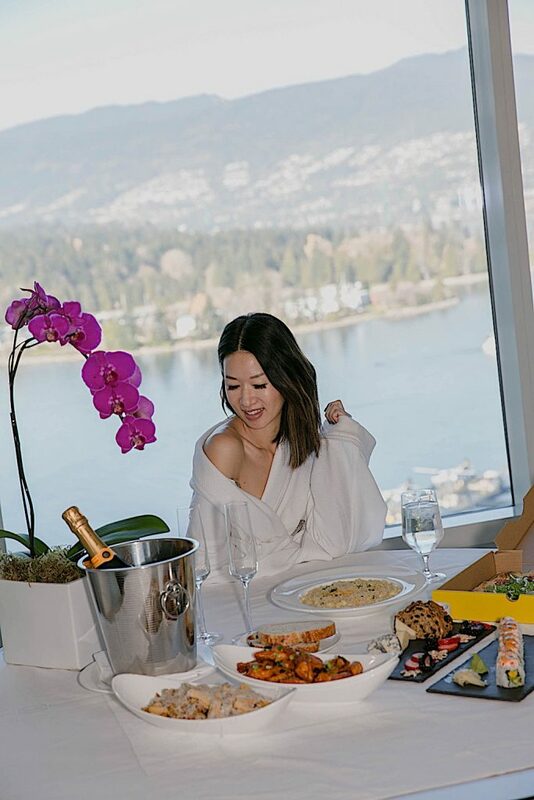 My room is one of the Fairmont Gold Owner’s Suites, the newest addition to the Fairmont Pacific Rim suite portfolio (located on the 11th – 22nd floors). Originally designed as two separate suites (now combined), you can only imagine how expansive the suite is with a separate living room, spacious bedroom, two bathrooms (yes, two! ), and a walk-in closet. 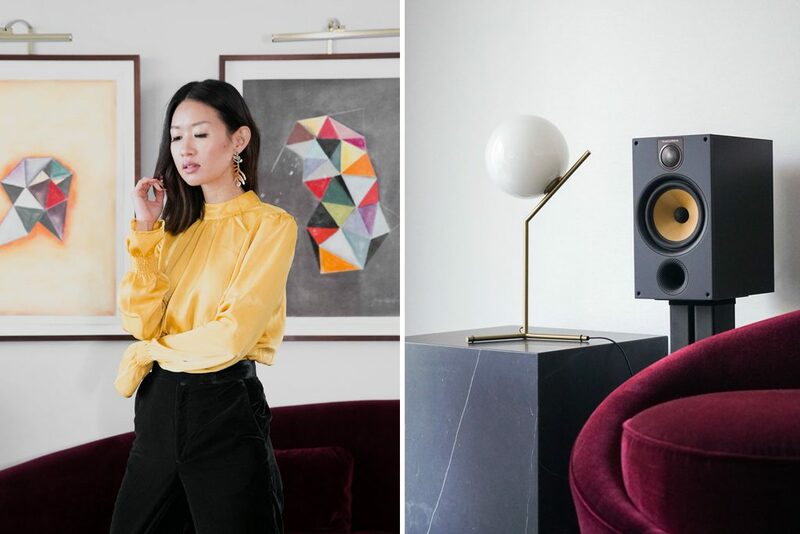 From the rich, naturally inspired materials and velvet decor, you can tell these suites tell a story. 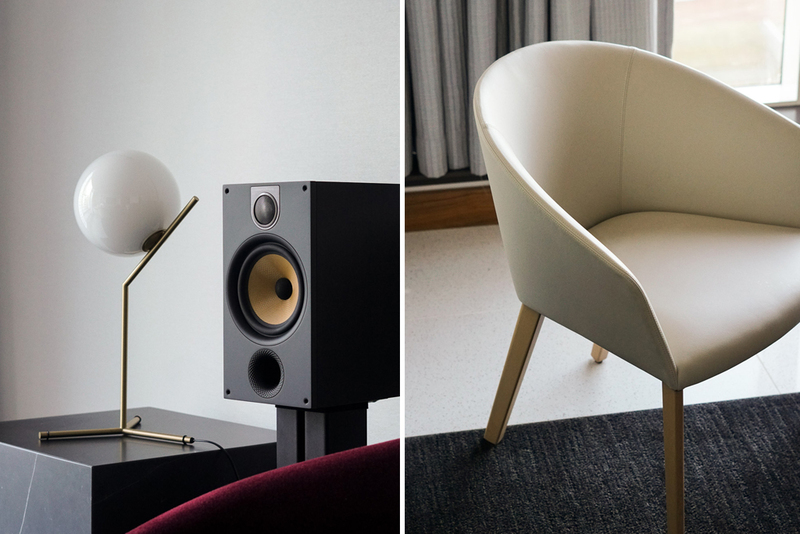 Every detail from the Icons Parisi inspired sofa to the record player and exclusive vinyl collection, to the custom artwork adorning the walls, to the dreamy king-sized canopy bed, to the expansive marble bathrooms, each piece, each detail, evokes the very heart of this hotel – fashion, art, and music. In addition to the room details, everything is state of the art technology from the iPad where you can order room service (and it tells you the exact time your food will be delivered), to the Google Cromecast where you can stream directly from your phone to the television, to the touch-screen control panels that operates lighting, temperature and drapes, you barely have to lift a finger! 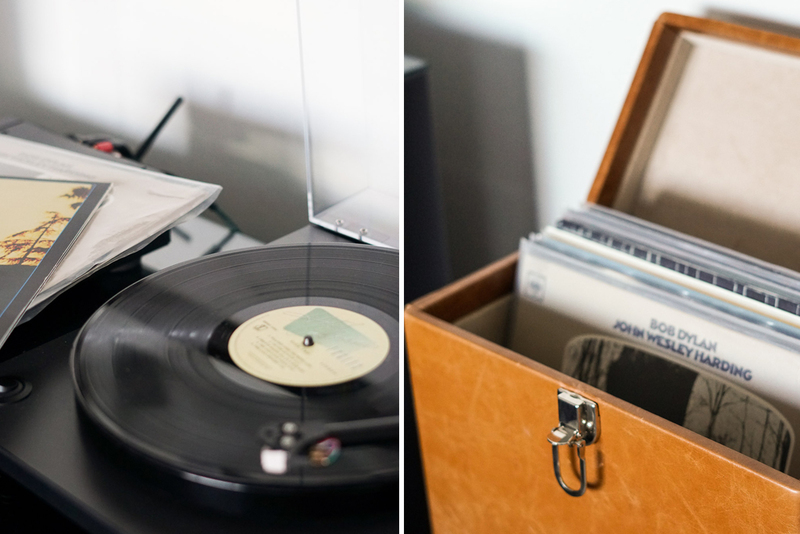 I look around the suite, not knowing what to acquiesce in first (the bed, the bath, or the record player), and decide to indulge in the view. 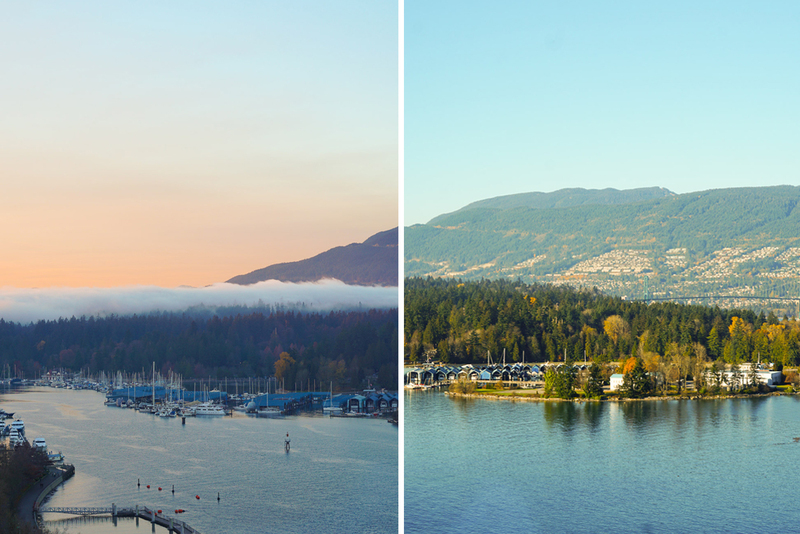 From my suite, I take in unobstructed, stunning Coal Harbour and North Shore mountain views, the yellow and red leaves of Stanley Park, the birds flying overhead, and even see a few sea planes taking off from the Harbour. I inhale, ready to begin my stay. As part of the Fall for Gold package I have access to the Fairmont Gold Lounge located on the 20th floor. The Gold Lounge offers morning breakfast and snacks and hors d’oeuvres all throughout the day including beverages. The Gold Lounge decor is as beautiful and inviting as the Owner’s Suites with a tranquil ambiance, plush seating, newspapers from all around the world, and the most stunning glass and wood staircase. Everyone here is attentive and knows you by name. A hot latte with almond milk is offered along with a continental breakfast spread, made to order omelets, and the most delicious cream puffs I’ve ever had (I may have gotten these every day during my stay). I actually love the lounge access because of the variety of snacks that are available as well as cocktails and unlimited beverages. I highly recommend Fairmont Gold for the lounge access alone especially for families (this makes it easy to quickly feed the kids and not have to go far in search of food) as well as business travelers to get something quick on the go. While the Gold Lounge provides for plenty of light bites during the day, don’t spoil your appetite because the lobby has an incredible sushi bar. RawBar, noted for their rave-worthy sushi serves certified ocean wise ingredients and it is evident in the quality of their seafood. My personal favorites include the Tuna Caviar Tartare, lobster roll, and all of their Nigiri. 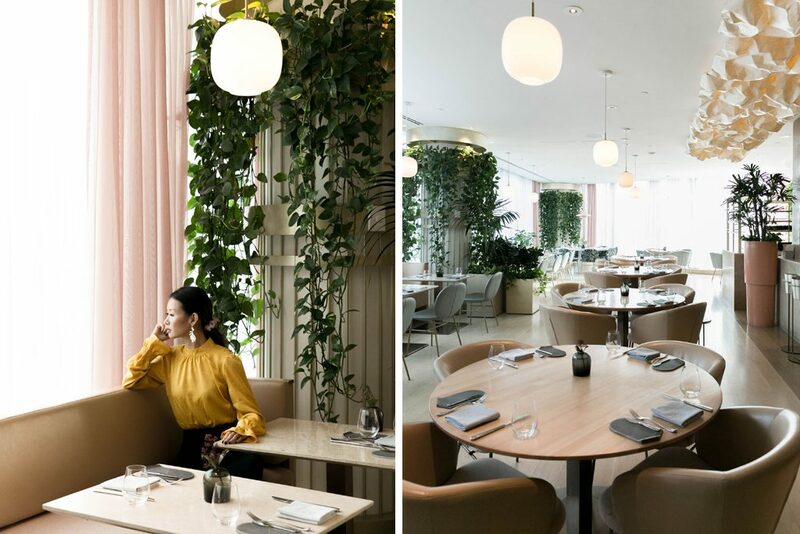 You can also grab drinks at The Lobby Lounge where live music plays everyday and handcrafted cocktails such as The Sun Also Rises, Geisha, and Vancouver Club are served. They even serve a trio of cocktails titled “Fashion Takes Flight” inspired by the vintage gowns displayed in the lobby. It is definitely the place to be, and in fact, during my stay I saw Jason Momoa from Game of Thrones (not once, but twice)! And just in time for the holidays, you can enjoy festive drinks such as Spiked Eggnog, Feliz Navidad, and Hot Buttered Rum while you celebrate with friends over a roaring fireplace and some great tunes. 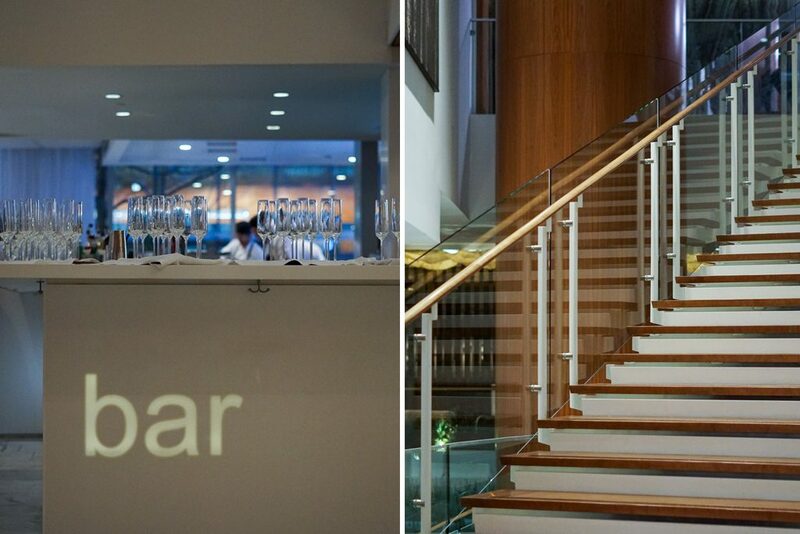 For a more exquisite dining experience, go no further than upstairs to Botanist. The stunning interior of light pinks, blues, and greenery in the garden alone makes it worth a visit. 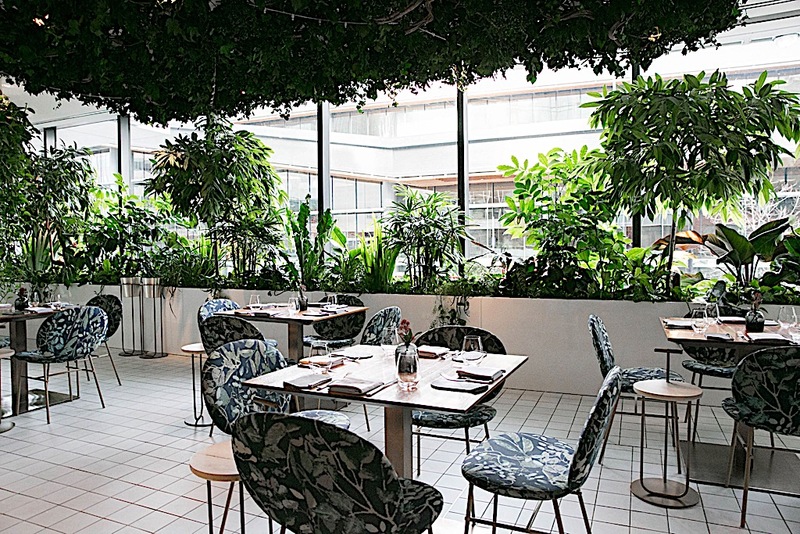 There are four spaces in the Botantist: a Cocktail Bar and Lab (yes, they hand make all of their drinks here), Garden, Dining Room, and Lounge and they are all equally chic and beautiful. 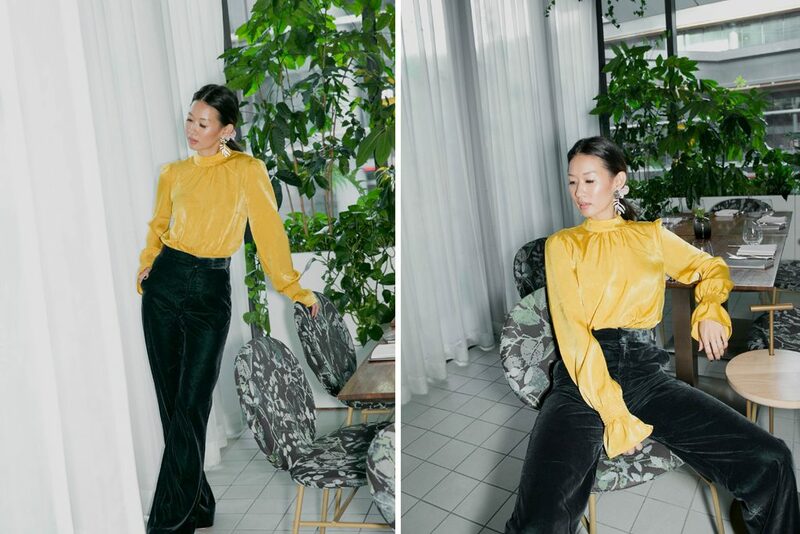 My favorite though has to be the Garden where real plants adorn the ceiling and walls or the Dining Room for the opulent, yet modern decor. 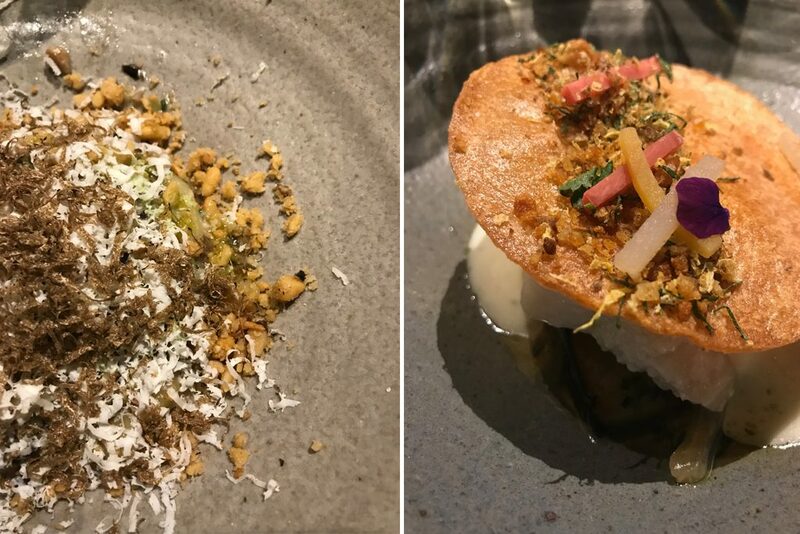 The same beauty and care that is in the decor of Botanist is reflective in the presentation of the food. 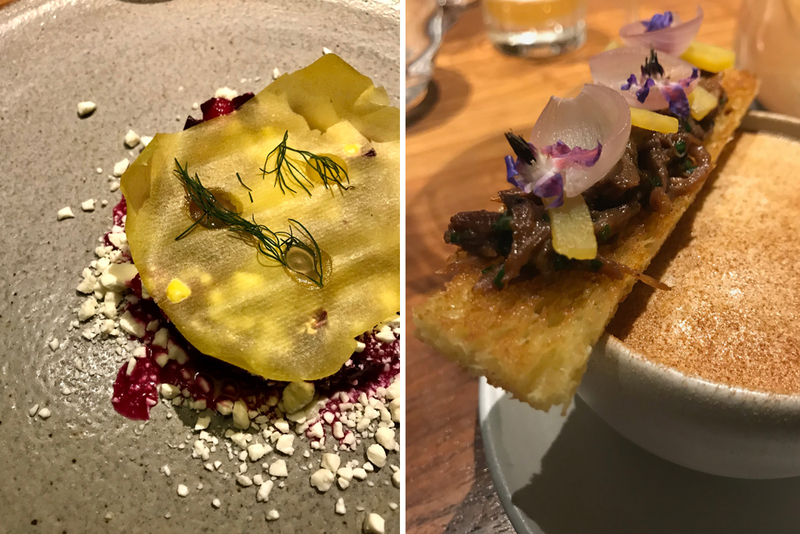 Executive Chef Hector Laguna does a masterful job at representing the abundant botany of the Pacific Northwest and British Columbia. I was speechless each time an entree arrived because of the presentation and care that was evident in preparing this meal. One thing I noticed about the meals was that every entree had an accompanying vegetable or side that was just as beautiful as the main. Nothing overshadowed each other and they divinely complemented each other. And what’s delicious, mouthwatering food without drinks to accompany them? The Botanist Bar is on another level with Bartenders #4, #8, and #12 from the world all creating amazing cocktails here! 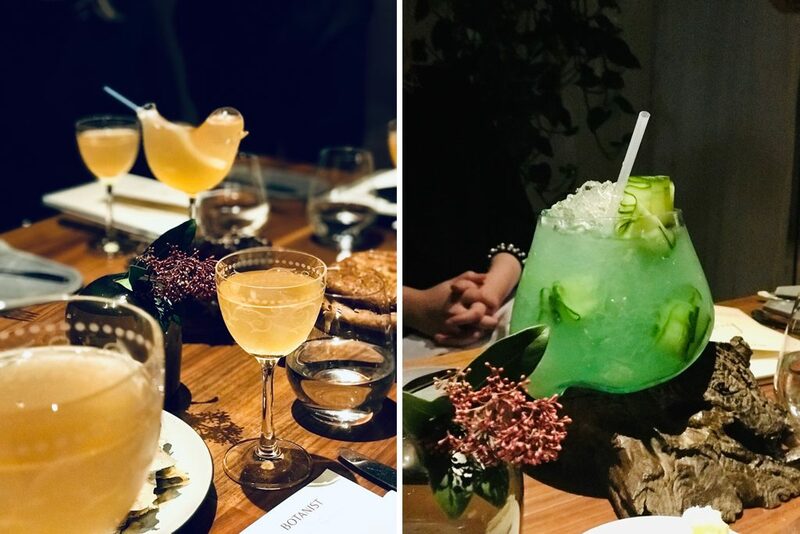 The cocktails are not only creative, but also very representative of the BC surroundings. Do yourself a favor and celebrate the holiday season at Botanist and try the chef’s favorites with a prix-fixe lunch or a six-course tasting menu on Christmas Eve, Christmas Day, or New Year’s Eve. Trust me, you will thank me. 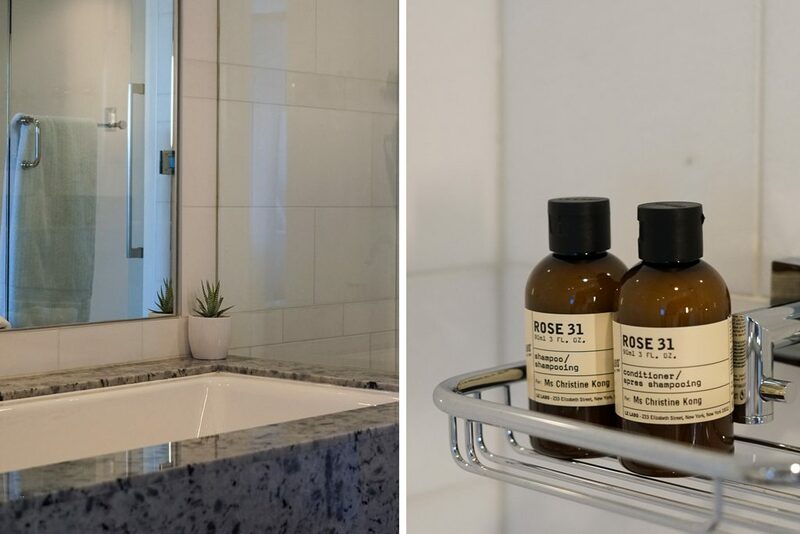 After indulging in incredible restaurants and room service at the Fairmont Pacific Rim, what better way to unwind then a treatment at Willow Stream Spa. The spa is 15,000 square feet with nine treatment areas but feels intimate and cozy amongst the three lounges with fireplaces and books and spa terrace overlooking the city. I am in utter tranquility, taking a journey through a hydrating body exfoliation with essential oils, full body massage using velvety body butter, and finally a scalp massage to clear my mind. Relaxed and glowing from my massage retreat, I am ready for my front row seat at the “A Fashion Statement” event in The Lobby Lounge. 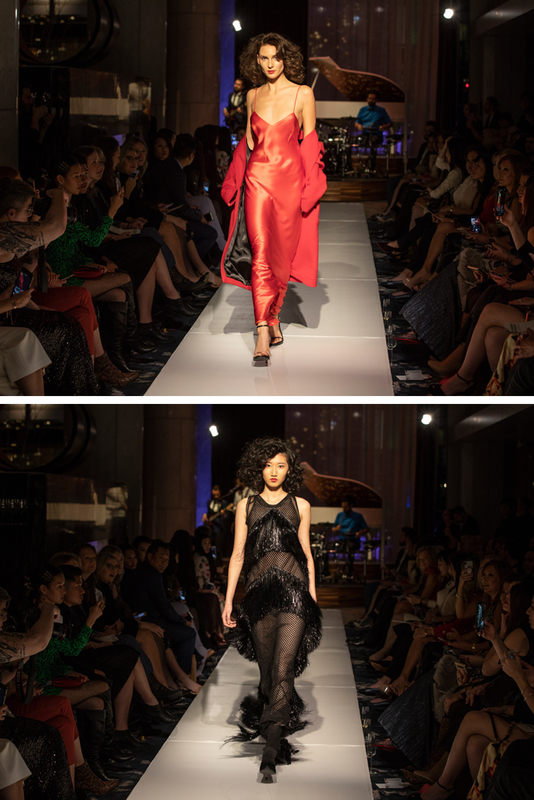 The “A Fashion Statement” event is in partnership with CAFA celebrating Canadian designers from East to West. 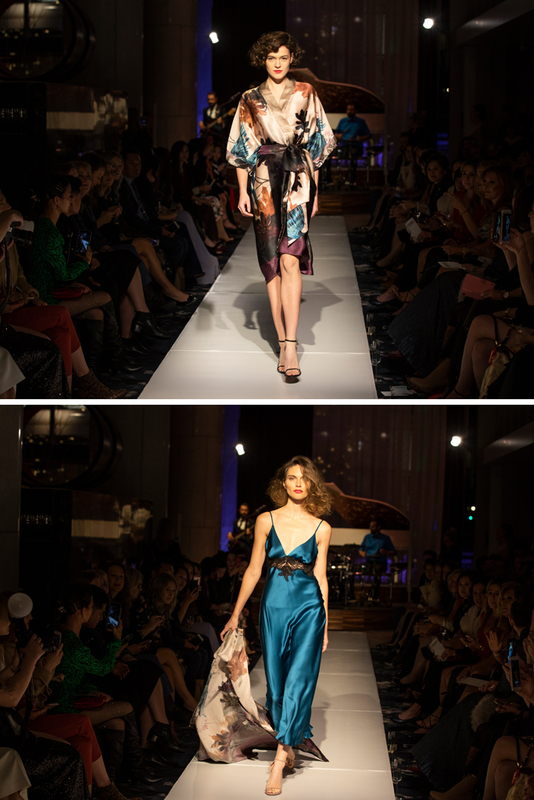 I am blown away by the ravishing collections and details that each of the designers put forth from the silk and antique lace lingerie by Christine Lingerie to the modern womenswear NONIE. 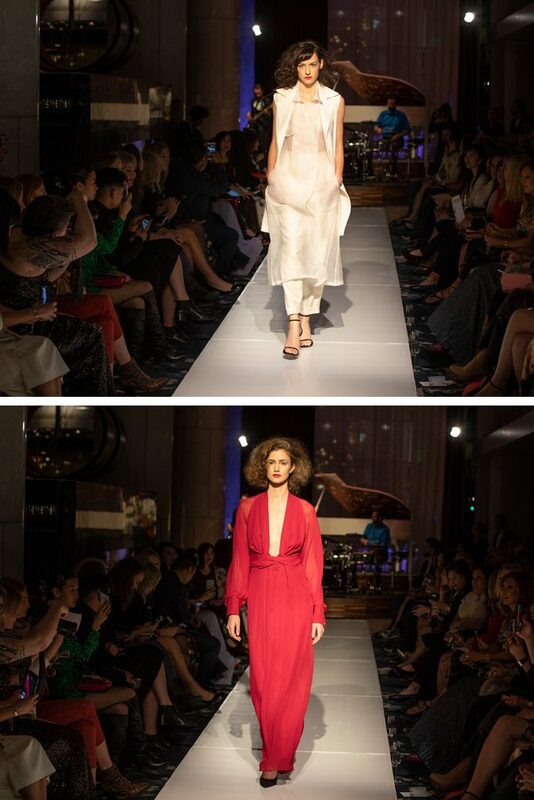 Victoria Hayes shows a collection of bold, yet feminine pieces and UNTTLD features poetic and flowing garments. 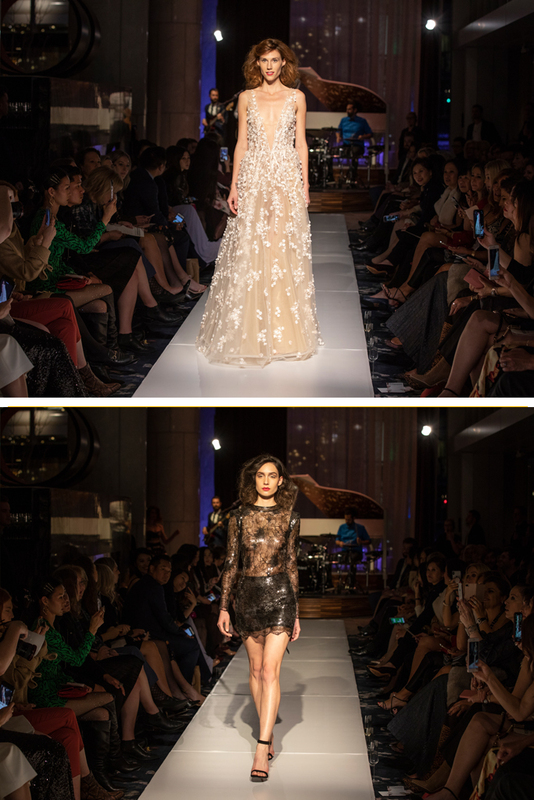 Closing the show is Di Carlo Couture with exquisite gowns that are dreamy and breathtaking leaving you wanting more. If it wasn’t for the vibrant city life and inspiring scenery outside of the Fairmont Pacific Rim, I would literally just stay at the hotel all day long! 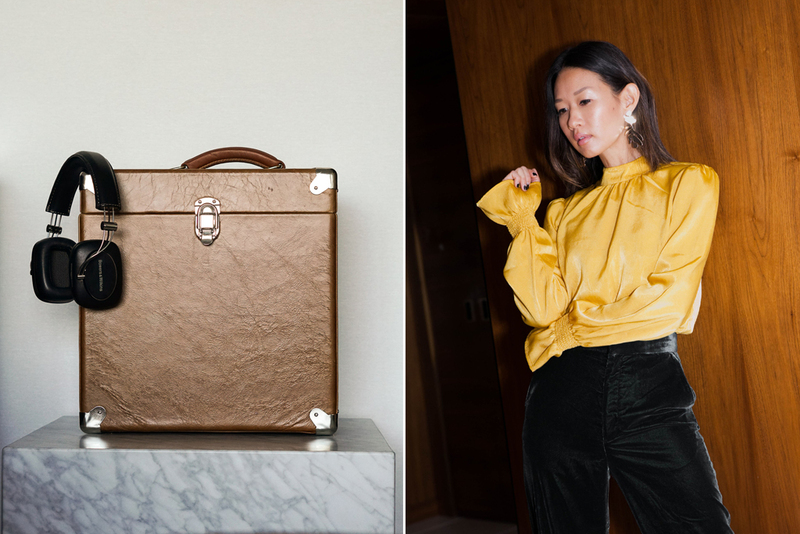 As part of Fairmont Gold, you even have a Personal Concierge that is at your service arranging everything you could possibly need during your stay. 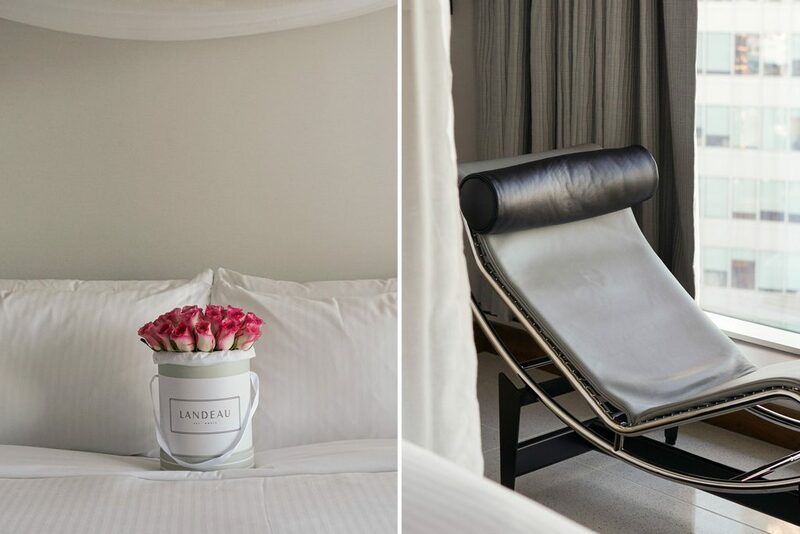 While there are so many hotels to choose from, it is the details that create the complete picture. 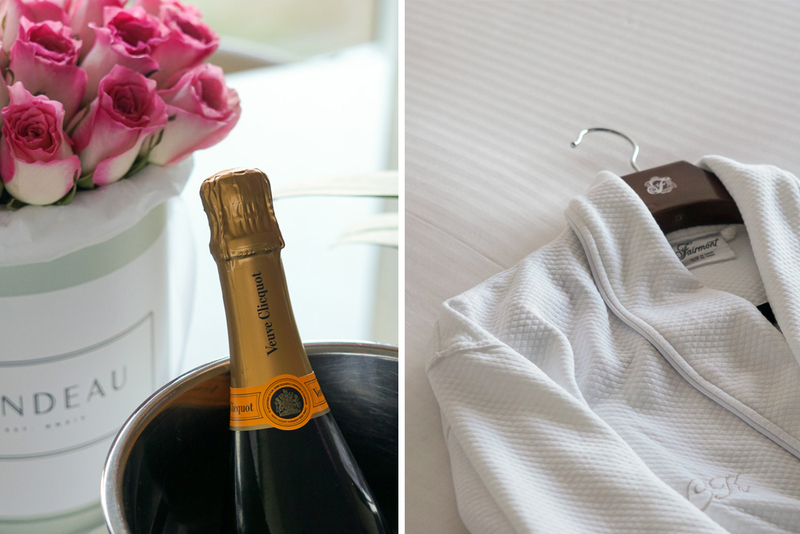 The Fairmont Pacific Rim not only understands the significance of details but executes them with excellence. 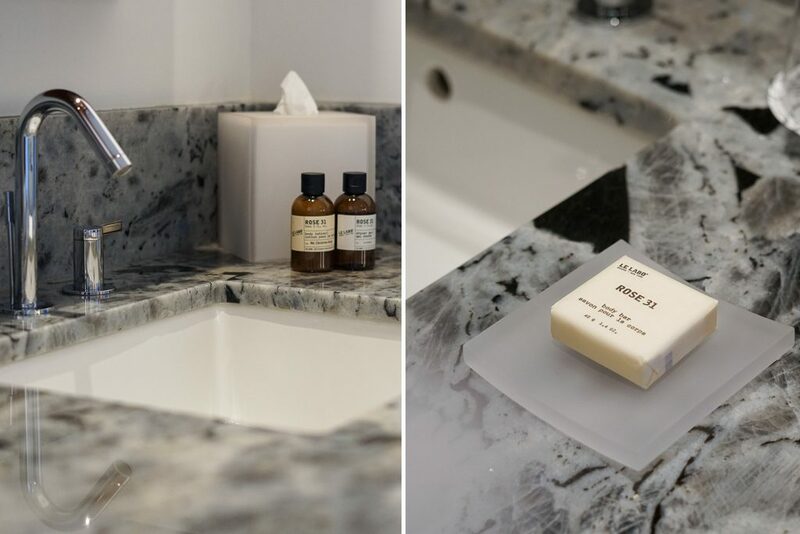 From check in to check out and everything in between such as thoughtful welcome gifts in the hotel room, personalized Le Labo toiletries in the bath, to greeting you by name when you pass in the Lobby, the Fairmont Pacific encompasses every little detail and creates the most unforgettable moments. Experience Vancouver for yourself and book the Fall for Gold package for 15% off until April 30, 2019. 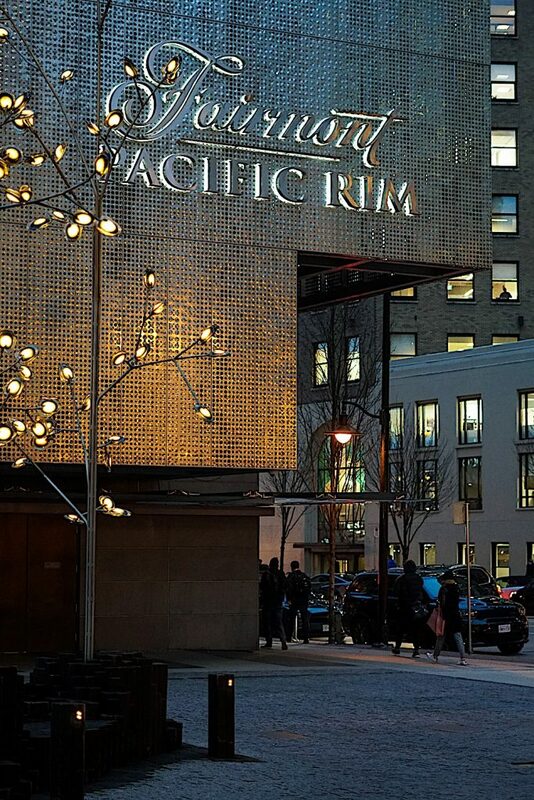 A deepest thank you to the Fairmont Pacific Rim for the most luxurious and memorable stay. This hotel looks magical! And I love when hotels pay close attention to detail because as you mentioned there’s so much appreciation for all the decor and design. So glad you had fun and love all your outfits! This hotel sounds amazing <3 🙂 I love how elegant it looks! Hope you had an amazing time in Vancouver! The hotel looks amazing and you look perfect too!!!! Happy Holidays! Such a glam and stylish hotel. Nice pick and thanks for sharing. Looks like you’ve had an amazing trip in Vancouver babe. Wow, looks like quite a stay! Wow this hotel room is so beautiful and I love your velvet dress soooo much ! These photos look amazing and it’s always a good sign when attention is paid to details! Love all your outfits especially the green dress! This hotel looks so lovely! What a luxurious hotel to stay! 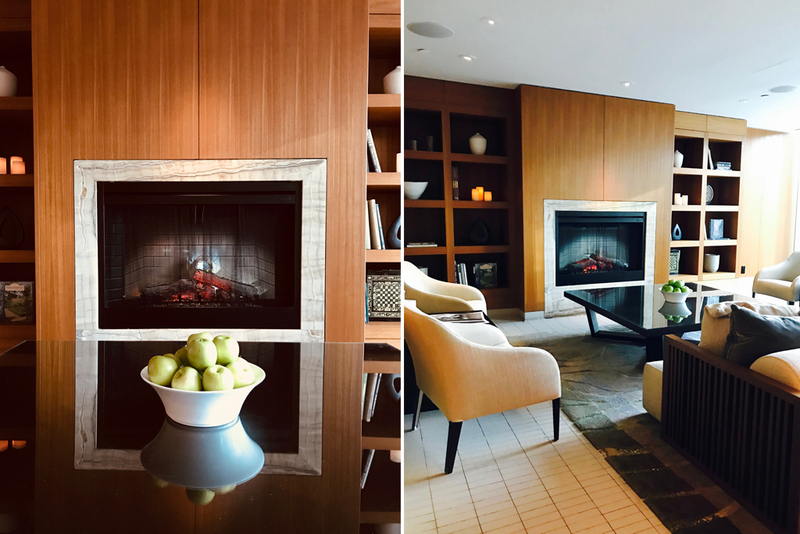 The Fairmont Pacific Rim has beautiful detail to make the most of your experience. I’ve never been to Vancouver but I will definitely keep this property in mind. I love all of your images. You look so chic an stylish and the food is an invitation for the most demanding palates. Looks so tasty. Thanks for sharing such a great adventure. It’s so stunning. I haven’t seen anything like it. The lobby is incredible! I love the way all your outfits fit the interior and you look gorgeous in every single on! Always envious of all your travels and the beautiful places you get to experience! This hotel is no exception and it looks like you had a blast in Vancouver. Thank you for sharing your adventures with us! This hotel looks GORGEOUS! Your drinks look so cool too. The fashion show looked amazing too. What a fabulous hotel. Gorgeous from every detail. And yes, that’s a stunning collection. Vibrant, classy, and really elegant. The Fairmont looks like a fabulous hotel to stay at! I’d totally want to spend a weekend here just to treat myself, or with a close girlfriend. And I’d probably spend most of the my time in the Gold Lounge- so beautiful! Your hotel reviews are always so thorough and the photos are simply exquisite. Thank you for sharing your experience! Just as they say, it’s all in the details. I love how beautiful the Fairmont Pacific Rim hotel is and how much they pay attention to detail. It really is the little things, that can make your stay tremendous. The Gold Owner Suite’s look amazing! Such a great addition! I still haven’t made it to Canada. SO on my list! The Fairmont in Vancouver looks spectacular! The food, the decor, the room you stayed in…it looked amazing. Thanks for sharing. I am adding this to my list of must see/must stay at places. The hotel looks absolutely gorgeous. 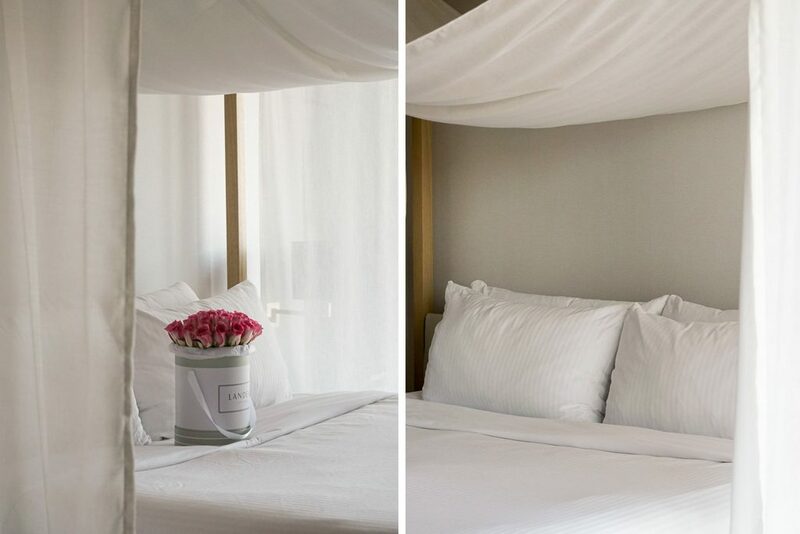 Their attention to detail & the views from your room are stunning. They will definitely be our pick when we make a trip out to Vancouver. Loved all your outfits & the hotel provided such beautiful settings. You look amazing, Chris. Love all these photos! So glamorous YOU!!! Great styling as always Babe! Keep it up!! !